You may never have had the need for Roadside Assistance before becoming RVers. If you have never traveled more than a short distance away from where you live, you were just a phone call away from a friend or family member or a local business who could come to your aide. But once you begin traveling longer distances or possibly go on the road as Full-timers, you REALLY NEED to have it. It’s peace of mind provided by an insurance company, maybe even the same one that covers your automobile. They provide you with a phone number to call wherever you are when something happens…mechanical breakdown, accident, flat tire or you simply ran out of fuel. All of the insurance companies depend on their own or contracted dispatch services (call centers) to facilitate the roadside assistance process. You call-in to an operator, who does the leg work of finding a towing or service company in your area to come and assist you. If you were involved in an accident, they’ll help or refer you to someone else to start the claim process and get you the additional support you need, such as a loaner vehicle, hotel reservations or additional assistance, depending on what your policy provides. What is covered? That is something you need to research for yourself, as each insurance provider has different policies, plans and provisions. Compare companies to ensure you get the most bang for your buck and your needs met, based on your situation and the equipment you are operating. If you already have insurance, including a roadside assistance plan for your vehicle and are thinking of getting an RV, call your insurance agent to find out if the coverage you currently have will cover the RV, as well. You might find that it won’t, and you definitely don’t want to learn that at the wrong time, when you need the help the most…broken down along a secluded section of highway. I suggest that you don’t take the cheapest option offer by the insurance company. You may find yourself in a situation which you were not prepared for logistically or financially, and having the additional assistance/benefits is nice at a time when you really, really need it. The additional cost for upgraded service is usually minimal. One thing you need to know, regardless of who is providing your insurance coverage, they (and you) are still at the mercy of the independent local towing or service companies and their ability to come to your aide. They may be busy or not have the equipment or personnel available when you need them. Also, know that not every insurance company provides the same level of incentives to these tow companies to service (you), their customers. That’s why it’s imperative that you have patience; it may take some time to get someone to your location are to help you. Program their emergency contact number into your cellphone so you don’t have to search for it. Keep your membership cards handy, as well. Our provider gave us both cards for our wallets and key tags. I placed a key tag card on the console…so it’s always handy. Some companies have downloadable apps for your smartphone, which provides you with yet another means of initiating a claim or call for HELP. 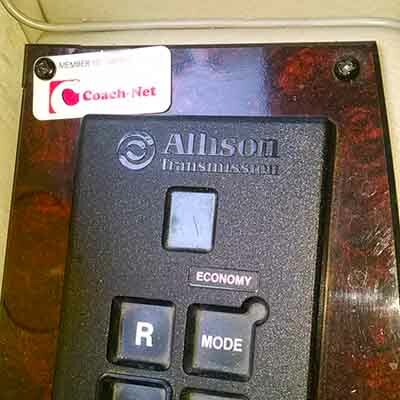 We chose to use Coach-Net for our Roadside Assistance provider. We recently needed them and they were very responsive and caring! Header Image: A neighbor in the campground we were at had blown a head gasket on their dually pickup. Their truck was towed to a dealership for repairs, then the tow company returned to pickup their 5er. Fortunately, this company had both the proper equipment and know-how to do the job properly, which is not always the case…another reason to have good full coverage insurance on your rig.